The Avalon Marshes is part of Somerset’s Levels and Moors, one of the largest lowland wetlands in Britain. It is a fascinating watery landscape, a rich mix of spectacular Nature Reserves alongside agricultural fields and pastures, drained by reed-fringed ditches and rhynes. It’s internationally important for wildlife, especially the large flocks of migrating birds that fly in each spring and autumn to join the ducks, waders and other animals that are here all year. 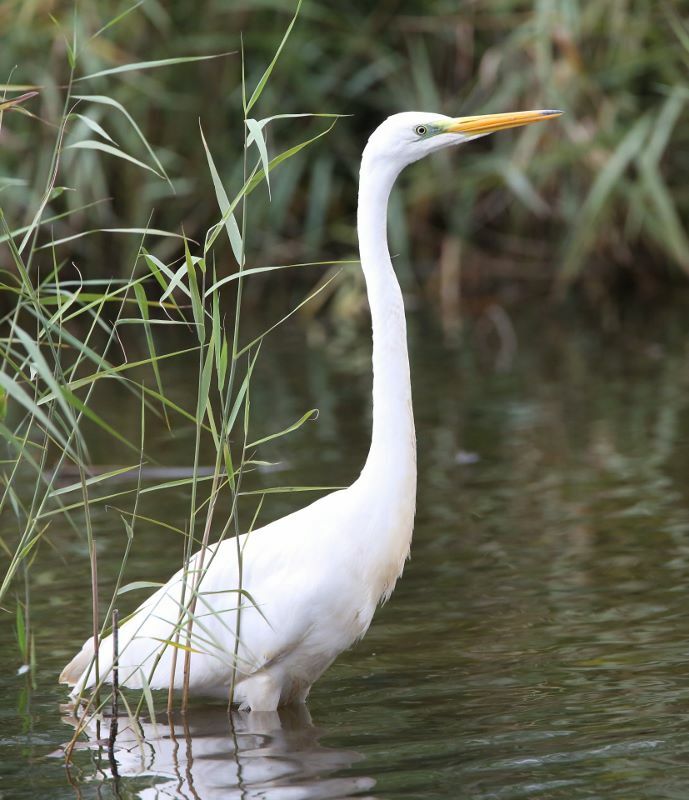 Visitors come from far and wide to see our “Big Three”; marsh harrier, bittern and the great white egret. 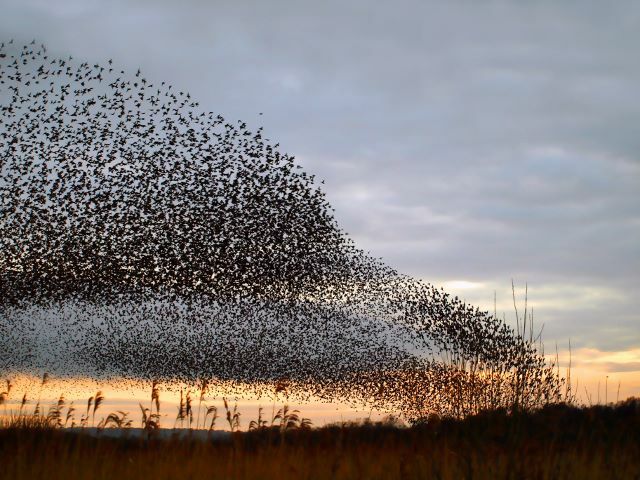 Winter sees truly amazing sights and sounds of the Starling Murmurations. There is lots to see whatever time you come; our Seasonal Highlights page will give you a taster. It’s the size and variety of wetland habitats that makes Avalon Marshes so good for wildlife. There are huge areas of open water and reedbed alongside heath, fen, woodland and grasslands. Each habitat is home for different plants and animals so the sheer variety of wildlife in the marshes is huge! Go to our Headline Species page to find out more. The nature reserves, many created from former peat workings, are managed by a range of conservation organisations. They work together to look after these wetlands and ensure that this very special landscape thrives. All the reserves are free to visit, with trails, footpaths and car parks. Boardwalks and hides make it easy to watch wildlife in comfort. To find out more about the reserves go to our Nature Reserves page. Not sure how to get to Somerset’s Avalon Marshes? Go to our Explore pages. Some of Britain’s rarest wetland wildlife lives in the Avalon Marshes. If you’re lucky you might spot water voles on grassy areas beside the rhynes and otters hunting around the islands in the lakes. Two birds to listen out for in spring are bitterns and cuckoos. For many people, one of the best things about the Avalon Marshes is the variety of birdlife. Many are here all year, including ducks, herons, egrets and swans. Some birds migrate here to spend the summer or winter months in the marshes and others stop off to rest and eat before they continue their journey north or south. Numerous insect-eating birds such as swallows and warblers arrive in spring, travelling from Africa to feast and breed here in the summer, before flying back in autumn with their young. Starlings, redwings and fieldfares come here for winter to escape the bitter cold of Siberia and Scandinavia. For them our winters are mild and warm, a perfect bit of winter sun! Find out more about our Seasonal Highlights. Find out more . . . . Lakes, reedbeds, wet woodland and mire. Lakes, reedbeds, heathland, meadows and wet woodland. Droves, rhynes and wet grassland. Reedbeds, heathland, meadows, woodland and winter wetland.